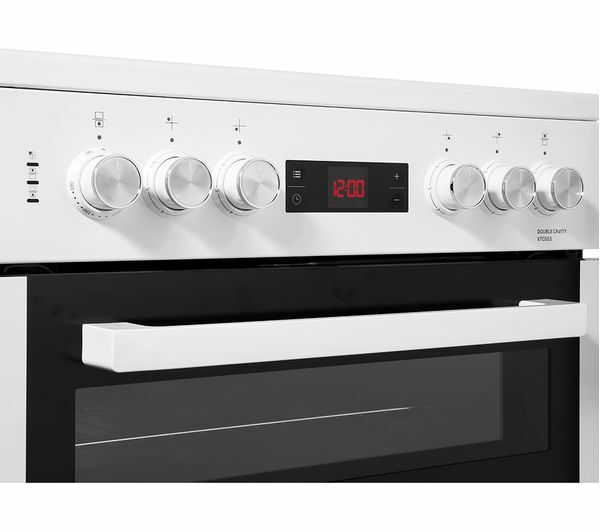 Take advantage of Beko XDC653W 60 cm Electric Ceramic Cooker's ceramic hob. 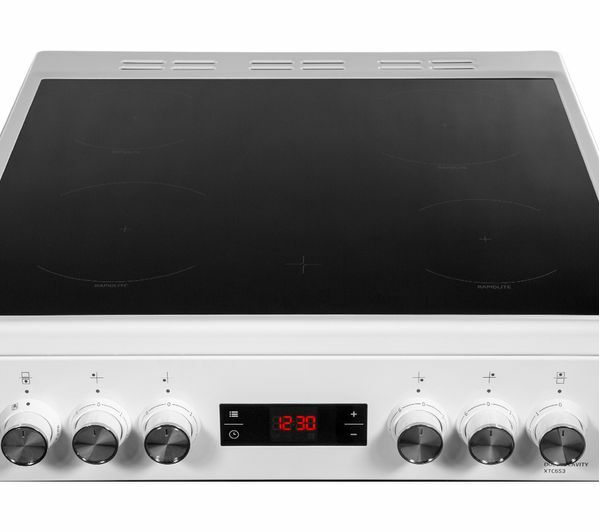 This hob is designed to reach maximum temperature at a rapid speed so you can get your food prepared without the long wait. The smooth surface also makes for easy cleaning - all it takes is a quick wipe down once you're done. 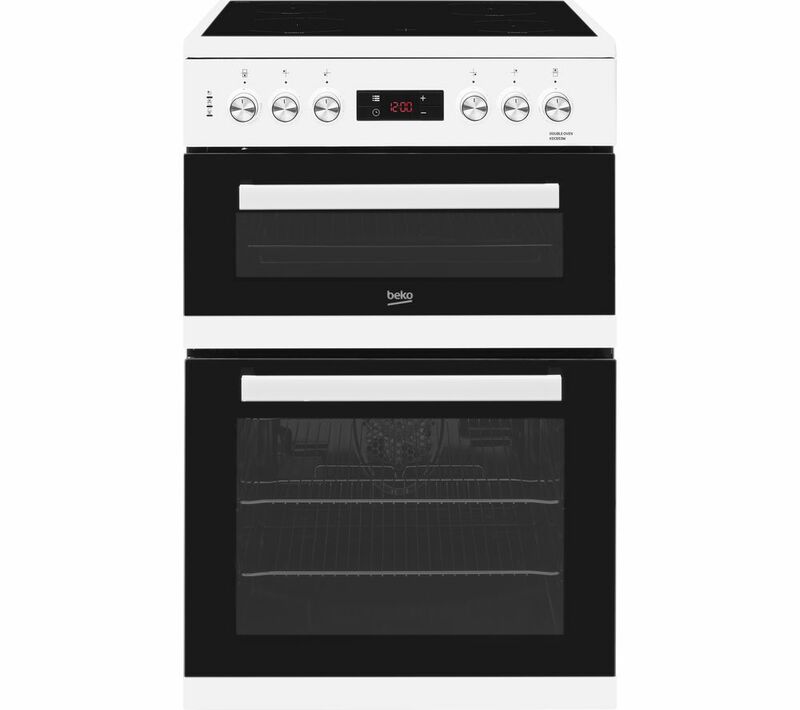 There's plenty of room to cook for the whole family with the 69 litre main oven. 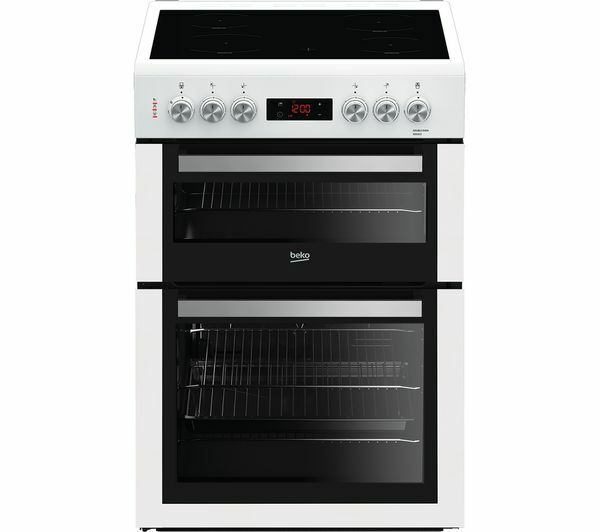 There's also a smaller second oven, so you can prepare a multi-course meal with ease. The integrated grill offers even more flexibility, taking the stress out of preparing a meal and freeing up more time for you to spend with your loved ones. 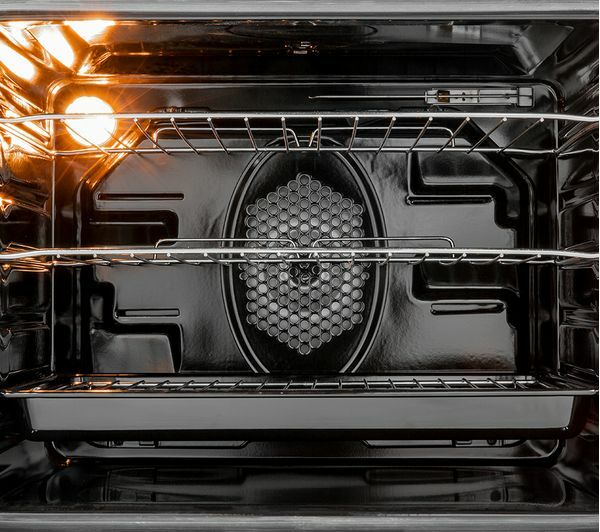 Cleaning is a breeze thanks to the SimplySteam cleaning function and enamel oven lining. The enamel lining is designed to catch grease and food particles without letting them get stuck to the surface. For stubborn, burnt-on food particles, all you have to do is pour a bit of water on the tray and select SimplySteam. 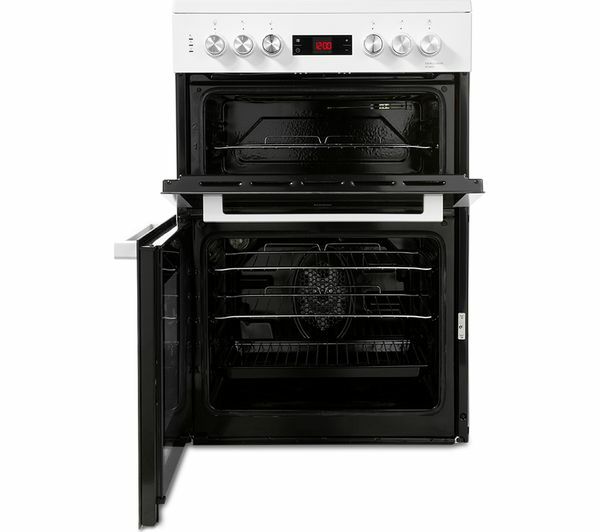 The evaporated steam softens the burnt food right off, so you can avoid an afternoon scrubbing at stains. 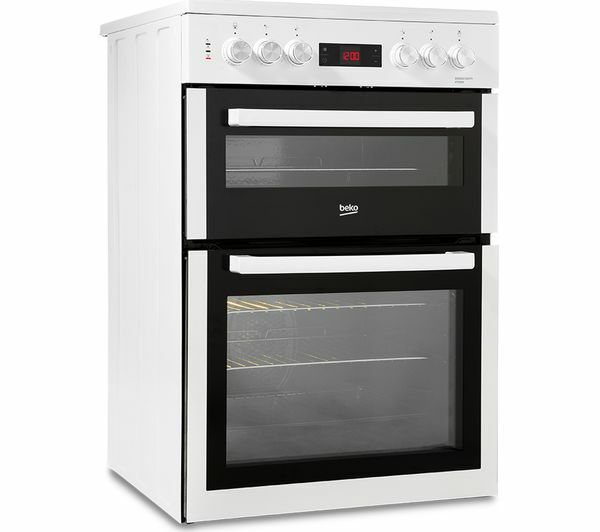 The oven's doors are fitted with a glass panel that can be completely removed for quick, easy cleaning. Wipe it down, and you're done. This product requires hardwiring to a 32 Amp fuse and should be installed by a qualified engineer, such as one of our Team Knowhow experts. In the middle of cooking I had a power cut and when the power returned I couldn’t understand why everything was working except my oven. It was because it went into safety mode and needed me to reset the time on the cooker so that it was aware that I knew the cooker would be turned on. When you clean the hob area, there is a slight stain around the ring which you can just about see, will stay there and it’s really annoying but you have to really look hard to see it.